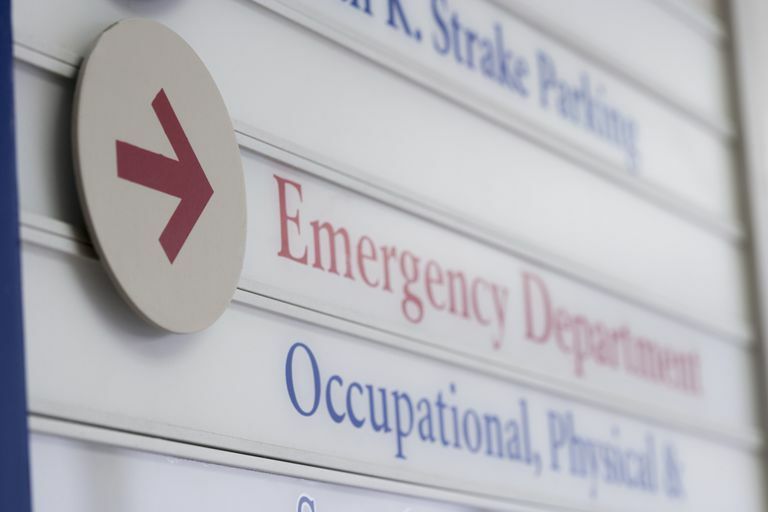 What's the difference between the emergency room and emergency department? The short answer is, nothing. It's all about how we got here. First came hospitals, collections of beds where patients could be cared for by doctors and nurses. Pretty soon, hospitals started grouping their beds and equipment into wards. Babies were born in the obstetrical ward, with a separate delivery room if it was a big enough hospital, and after an operation—which happened in the operating room—patients would be placed in the surgical ward. Those in need of medical care but not surgery were treated in the medical ward. Eventually, it became obvious that emergency patients had different needs than other folks. They required more preparation. Emergency patients needed some of the tools in the surgical ward and some of the tools in the medical ward. They also needed a special place to go where all that equipment would be ready at a moment's notice. And thus was born the emergency room. When I was a baby paramedic just out of school I worked for a rural ambulance company with one full-time ambulance and a volunteer back-up squad. We were affiliated with a tiny hospital; it was right out of the 60's in decor and almost in function. The hospital no longer had an obstetrical ward, a surgical ward or an operating room. But, due especially to its rural, very remote location, it did indeed have an emergency room. This little hospital staffed its emergency room with a doctor, 24 hours per day. The doctors were all out-of-towners—often with incredible credentials from Bay Area medical schools—who stayed in a little apartment at the hospital for 24 hours straight. If, and I mean if, a patient came into the emergency room, there would be a doc to take care of her. In that little country hospital, the emergency room was literally that: two beds in a single room. There was a three-seat lobby out front, next to the doc's desk. We delivered babies and saw folks' final hours in the same little room. No matter what kind of patient needed the emergency room, he went to the same place. That little hospital isn't a hospital anymore, but I learned quite a bit working there while it was still open. Today all the hospitals have grown into megabusinesses. As wards gave way to full-blown departments, the quaint terminology for the operating and emergency rooms held on tight. Progress, however, is not to be deterred, and so it is that emergency rooms and operating rooms have given way to emergency departments and surgical suites. The original abbreviations still hold true, however. Almost anyone knows what you mean when you say, "We're taking your father to the ER." Even when talking to each other, we refer to surgery as the OR and to emergency as the ER. I guess you could credit Michael Crichton and his television series ER, which was set in a hospital multi-room emergency department, for saving the term from obscurity. Some modern purists trying to make everything makes sense—don't ask me why—have attempted to get the world to refer to the emergency department as the ED, but I think the unfortunate coincidence that ED would then stand for both the quintessential definition of emergency help and erectile dysfunction kind of put a damper on the movement. Apparently, and you'll have to ask a Canadian if you want to know why, neither Canada nor Australia has as much need to use ED to mean erectile dysfunction as Americans do, and therefore often refer to their emergency departments as EDs.